Hans is currently serving as Director of Dtec, the largest technology entrepreneur centre of its kind in the Middle East housing 760 Tech start-ups, from 69 nations in addition to hosting incubators, labs and accelerators. He has 25+ years’ experience in building up departments in large organizations and starting companies in South America, Europe and the UAE. He is a frequent speaker on Entrepreneurship, Blockchain and AI technology and a judge at business plan competitions. He has successfully attracted venture capital and run as CEO several start-ups and held important global positions in large IT and financial institutions. 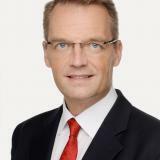 Hans, holds a BA in Economics and Finance from Bentley University, and an EMBA from Hult International Business School. Check out the incredible speaker line-up to see who will be joining Hans .